With its 2018 Adult Population Survey and National Expert Survey, GEM has completed 20 years of entrepreneurship research in economies from a wide range of regions and economic development levels around the world. 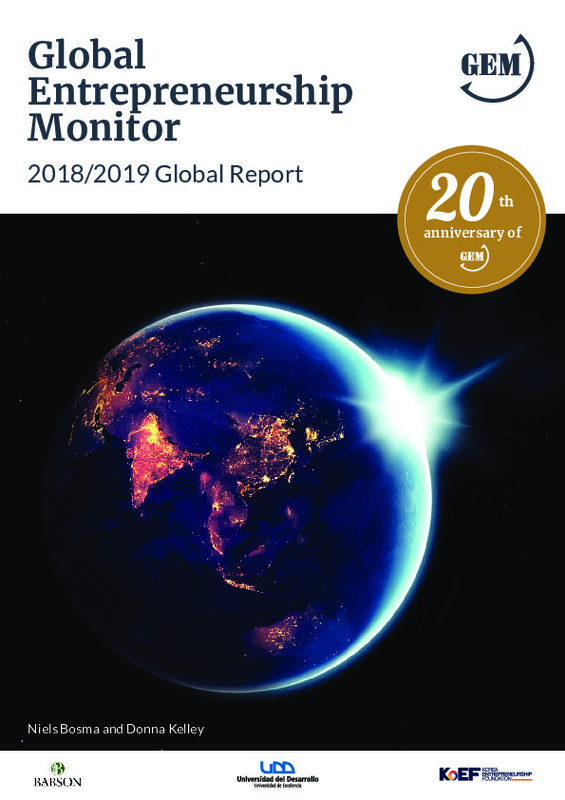 This 20th anniversary report profiles 49 economies with respect to demographics, their potential impact, the diversity of forms they take, and their longer-term sustainability. A look back at 20 years shows how entrepreneurship has evolved over time in five countries (the United States, Brazil, Germany, Iran and China). Finally, the report looks outward at the environment for entrepreneurship, reporting on societal attitudes, self-perceptions and entrepreneurial affiliations with entrepreneurs, and then introducing the National Entrepreneurship Context Index, which ranks economies based on 12 indicators of the external context that can influence entrepreneurship.